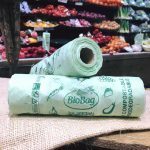 BioBag offers a range of compostable produce bags for use by retailers in their fruit and vegetable aisles as an alternative to regular plastic bags. BioBag can also supply recyclable food safe bags for other fresh food. 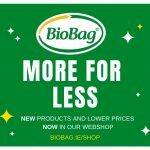 Unlike regular plastic products which are contaminated by organic waste and so cannot be recycled, BioBag bags can be composted by consumers with food and other organic waste, in either a Brown Bin or a home composting pile. 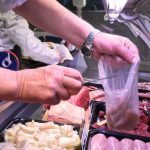 BioBag compostable produce bags are proving very popular with consumers and are a convenient way for retailers to show their commitment to reduce plastic packaging and plastic waste. For more information please contact Rory on +353 (0)86 7700213 or by email rory@biobagworld.com. Retailers. Fruit & Veg Bags, Buy Direct!